I am so happy to be guest writer on Shaheen Miro’s Blog this month. 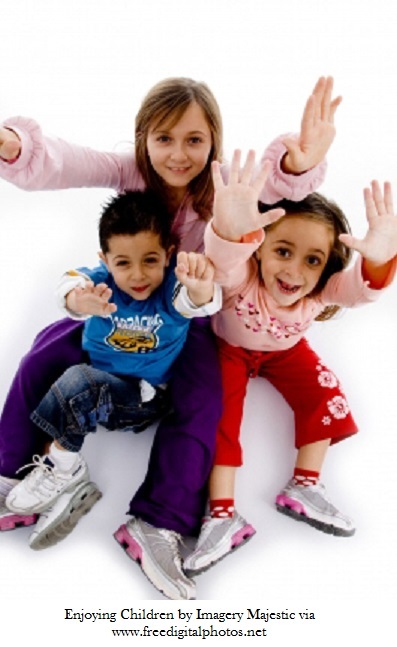 Please check out the information as part of our “Kids Growing Up Psychic” Series! Shaheen’s Note: I am so excited to feature my wonderful friend, Melissa! She is a gifted medium, writer and teacher, and she is here to share her expertise and experience with the psychic world in our new Series of monthly articles titled, “Kids Growing Up Psychic”. This is the second article in the series… enjoy! Most empathic and psychic children (and some adults) are constantly “open” to energy and spirit entities. This may include angels, spirits of those who have passed away, spirit guides, and experiencing the emotions of living people, places and conditions. Sometimes the kids do not know that the emotion they are feeling belongs to someone else. This can make them very confused. I have been asked many times about different types of clearings and cleansings. Some of them include room smudging (just like my article on negative energy cleansing) and personal or house clearing. This particular tip concerns areas in your home that might be stale or holding low vibrations — it just doesn’t feel good or right for some reason. It can be used quickly without smudging the whole house. 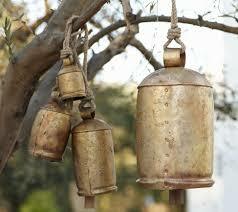 We all know about wind chimes and bells hanging outside the house. It keeps the negative energies from entering the house. And it is a pleasant sound whenever the wind or breeze rings it. But bells can be used inside the house as well! Usually small spaces, such as corners of a room, under tables, or next to dressers do not get as much movement as the rest of the room. So the energy gets “stale” or holds “old” vibrations. As a result, the room starts to take on a sour feeling when you enter it. It just does not feel vibrant like the rest of the house might. This room might be one that is a guest room used only for visitors. Or it could be a “catch-all” place for those items you do not use all the time. Or, you might have had a repairman or service provider in your house and you want to spice up your living space again. I always keep an old bell — I think it is a cow bell! — in my dining room. It has a special place on top of the sideboard. When ever I feel like an area of my house is stale or not lively any more, I just get the bell and ring it in that area. I even have jingle bells (left over from holidays gone by) hanging on the front and back door knobs. Every time we come in or out, the bells clear the path. 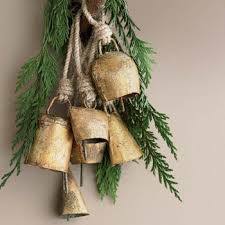 I also have a few bells like that on the back of dining chairs. Every time we pull out a chair to eat at the table, the space is cleansed. This Space Clearing with Bells tip is just one of many that you can use in your home, workplace or even your car! Other cleansings can be simple and easy, or more elaborate and geared towards ritual or ceremony. They all are positive ways to enrich your home. Take a look at a tip from Shaheen Miro to cleanse your floors. Many Blessings on your cleansing endeavors. What is Your Superhuman Potential? I have always been fascinated with the information from Ken Wilbur. He has such genius when it comes to looking at Life, Humanity, and where we are headed in Spirituality. But whenever Science and Spiritual Concerns work together — pay attention! I am already signed up for this FREE lecture, and I know you will be interested in learning about it too. Over the last 30 years, developmental scientists and researchers from around the world have discovered something truly profound. A small percentage of people are breaking through to an entirely new level of human evolution, one that has never existed on our planet before. According to the research, this new level has access to entirely new ways of seeing, knowing, and being that go far beyond all prior stages of human evolution. Your Superhuman Potential can only begin to come “online” when you truly understand this developmental process and learn to harness this vast reservoir of potential and power that is teeming just below the surface of your ordinary awareness. We invite you to join the renowned author, teacher and living legend Ken Wilber as he shares his latest discoveries about what this “Superhuman” potential really means and how you can begin to catalyze your own development to unleash the greatest possible version of yourself.